Montreal-based crowdsourced market research company POTLOC is growing so rapidly that it is in the process of opening new offices. 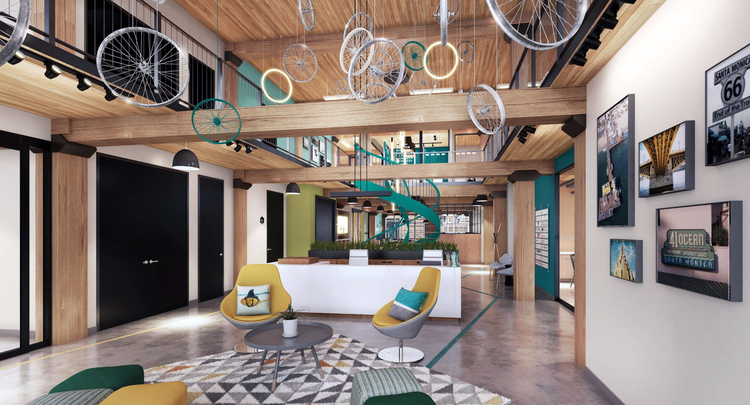 The expansion is being fuelled partly through newly secured venture capital, as well as the company’s considerable success as retailers and landlords see the benefits of the company’s innovative neighbourhood insights. 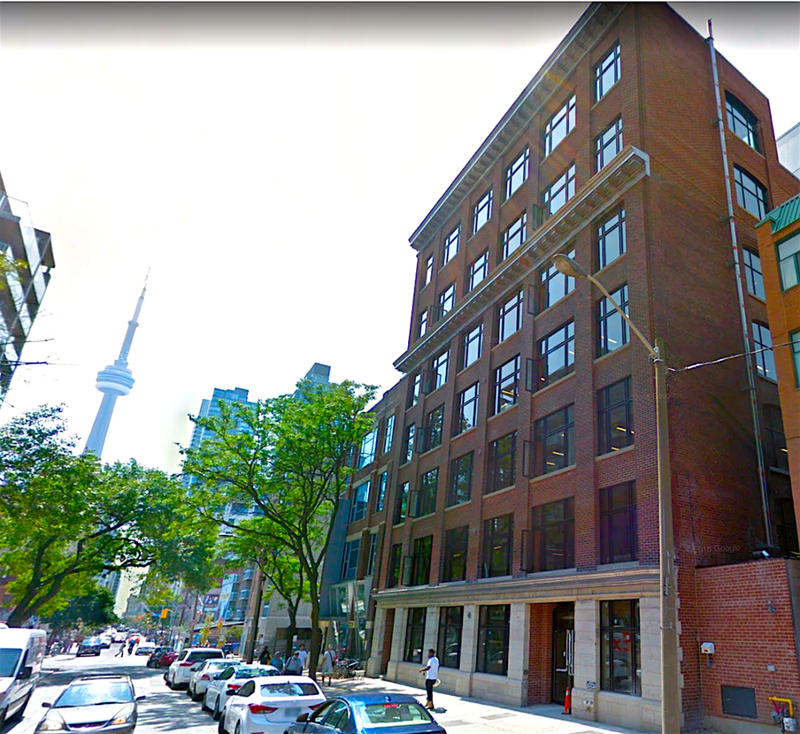 The new Toronto office is located at 180 John Street, in a renovated heritage building that has been converted to a multi-level co-working office centre. Called ‘Spaces Queen West, the eight-level building is just steps away from trendy Queen Street West and the Entertainment District, and is immediately south of the Art Gallery of Ontario. The Osgoode TTC subway station is a short walk away. 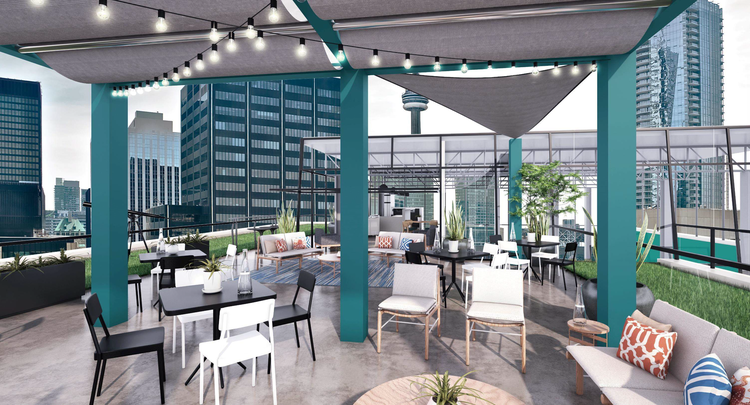 Spaces Queen West features private offices and meeting rooms and boasts an impressive rooftop patio that is already proving to be popular in the warmer weather. Allied Properties REIT acquired the building in 2015 and led by the design team of architects Gensler with heritage specialists ERA and landscape design by DTAH, two floors were added above a formerly five-storey 1916-built red brick-and-beam former warehouse. POTLOC hired retail veteran Mike Garard to head up the new Toronto office, and more team members are being added. Mr. Garard says that POTLOC’s Toronto office is expected to hire between four and six people this year, adding to an already growing POTLOC team internationally. 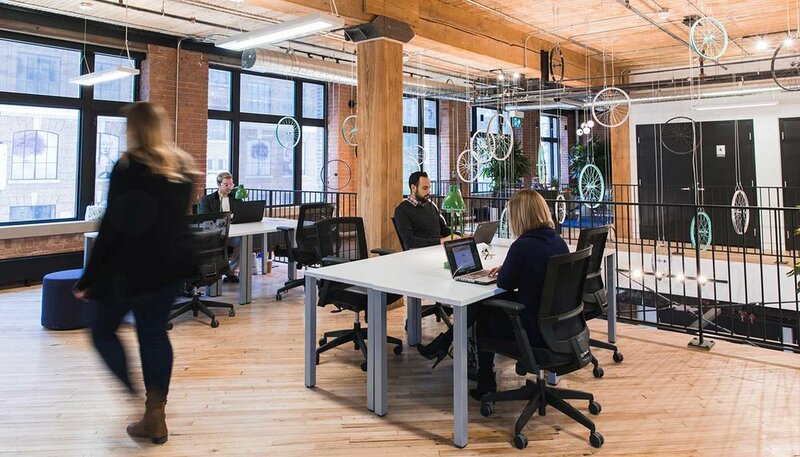 The Montreal office, which had only a handful of people last year, already has about 30 employees with a new person being added almost weekly. In France, POTLOC has offices in Lille and it also recently opened in Paris. In North America, New York City is on POTLOC’s radar, according to co-founder Rodolphe Barrere. The rapid expansion is expected to continue for POTLOC, which most recently has secured $2.5-million in funding from the Ecofuel Fund, which is a seed investment fund for clean technologies. POTLOC has attracted notable investors such as Desjardins Capital and CapHorn Invest, a French venture capital firm making its first investment in Canada. 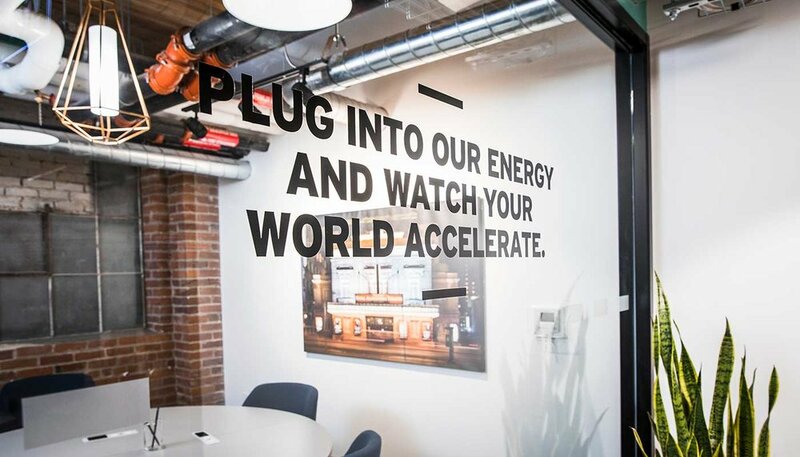 The initial investors, BDC Capital and renowned angel investors like Robert Dutton, the former RONA (acquired by Lowe's) CEO, are reinforcing their trust in the Montreal startup. Recent financing allows POTLOC to expand its team, as well as to invest heavily into research and development to further enhance its technology platform. Its objective is to establish itself as leader in consumer market research for the retail industry and commercial real estate. The company says that it foresees launching an even more ambitious new funding round in 2019. Customers are ‘given a voice’ as part of POTLOC’s process, which through social media, reaches out to people within specifically targeted locations to gage preferences for such things as their consuming habits, preferences for retailers and their experiences with certain retailers. Insights can then be used by retailers, real estate companies and cities to optimize the local retail offering. “We’re disrupting the market research industry,” says Mr. Garard, going on to describe how the company uses social networks to source thousands of consumer insights. 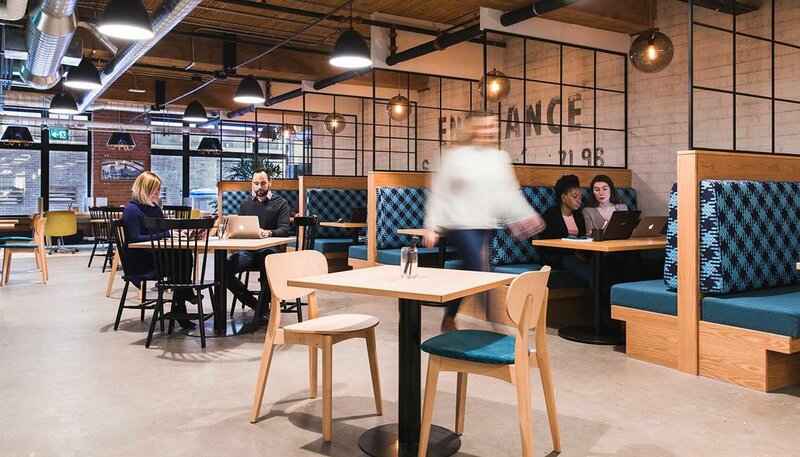 Companies such as ALDO, Loblaws, Ivanhoé Cambridge and Cadillac Fairview use POTLOC’s data to make real estate choices, and a company that recently utilized POTLOC’s services is France-based fitness concept ‘Keep Cool’, which opened its first Canadian location several months ago in downtown Toronto. Mike Garard of POTLOC’s Toronto office can be reached at: mike@potloc.com or +1 (416) 303- 8187.